Prior to her current position in PSA, Dr. Bersales was the former Vice President for Planning and Finance of the University of the Philippines and Dean of the UP School of Statistics. Also elected as officers of the Association and members of its Executive Committee for 2018-2019 are Ms. Frances N. Dayrit of GEODATA Systems Technologies, Inc. as Vice-President; Dr. Josefina V. Almeda of the Philippine Statistical Research and Training Institute (PSRTI) as Treasurer; and Prof. Jonny B. Pornel of the University of the Philippines Visayas as Secretary. Dr. Bersales will lead the PSAI as it embarks on various activities in line with its 65th Founding Anniversary Celebration. Dr. Bersales succeeded Dr. Dennis S. Mapa as President of the Association. PSAI is the country's sole scientific society of professionals committed to the promotion of the proper use of statistics. Dr. Dennis S. Mapa (left), Immediate Past President of the PSAI, administer the oath taking to the new members of the Board of Directors of the Association: (from left-to-right) Prof. Jonny Pornel of UP-Visayas; Dr. Lisa Grace Bersales of the Philippine Statistics Authority; Dr. Josefina Almeda of the Philippine Statistical Research and Training Institute; Ms. Frances Dayrit of GEODATA Systems Technologies; Dr. Rechel Arcilla of De La Salle University and Mr. Lui Asuncion representing Ms. Rosabel B. Guerrero of the Bangko Sentral ng Pilipinas. Board of Directors (BOD) and Officers of the PSAI for 2018-2019 during the 1st BOD Meeting held last 8th January 2018 at the Philippine Social Science Council (PSSC) Building. 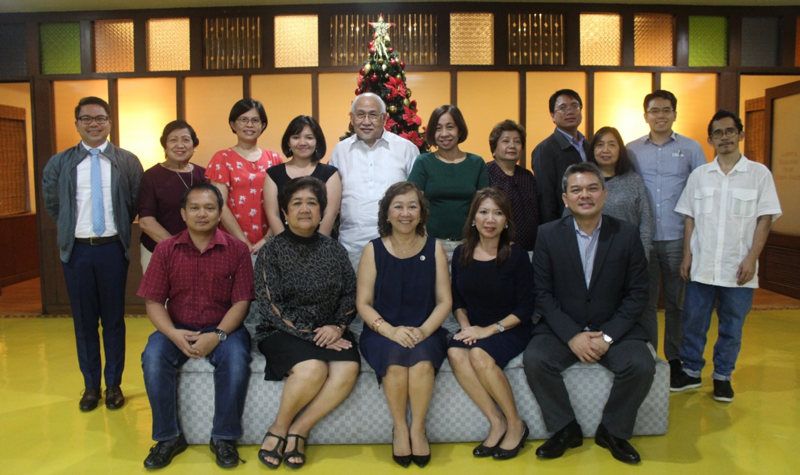 Seating (from left-to-right): Prof. Jonny Pornel (Secretary), Ms. Francis Dayrit (Vice-President), Dr. Lisa Grace Bersales (President), Dr. Josefina Almeda (Treasurer) and Dr. Dennis Mapa (Immediate Past President).